Bob Coffin - Dobson, N.C. 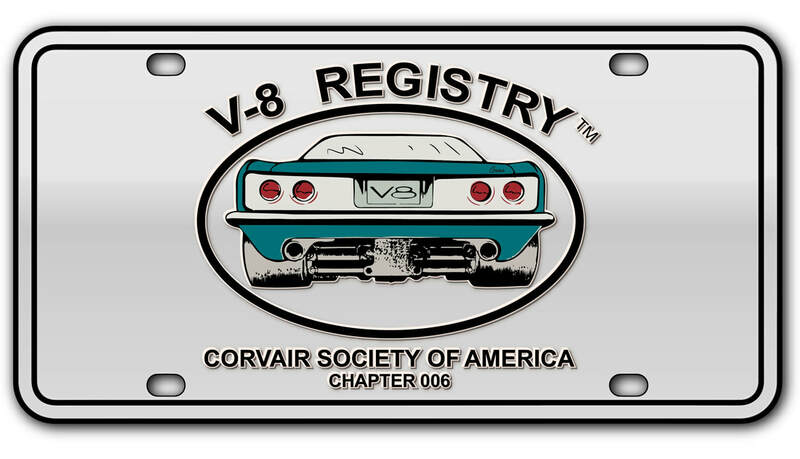 The V8 car I acquired, as best I can determine, is an early Crown conversion that sat for quite along while in the SE and was rescued from the Sebring area a couple of years ago. 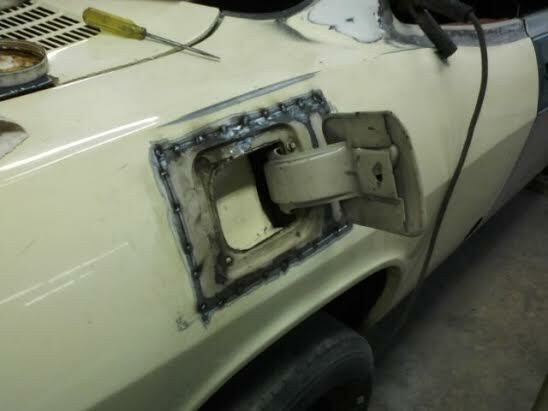 The body was in rather sad shape rust wise, but rather than install the Crown parts in another car, I chose to repair it using body panels cut from another decent, but scrap-able late model Corvair. I did this for historical reasons, plus the car is a Factory AC car which makes sense for where I reside. 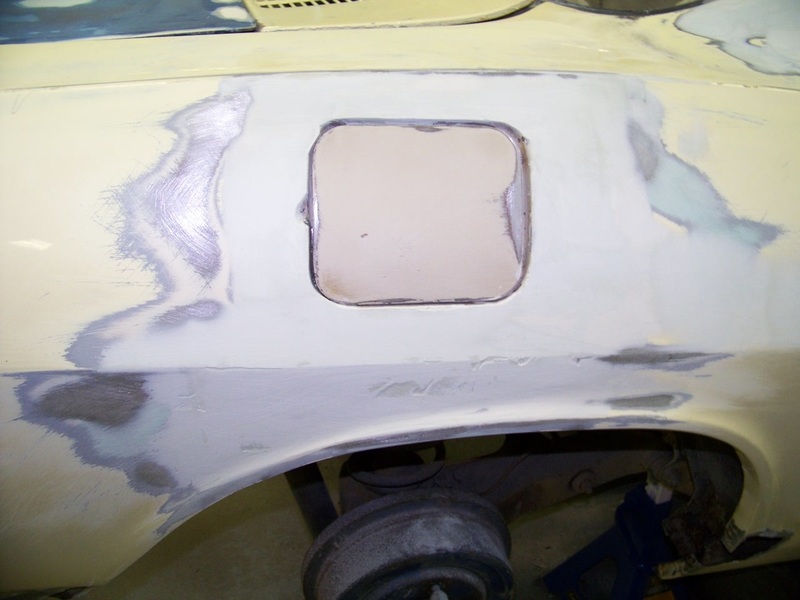 This has been a long process I am doing myself on a part time basis, working on the body from from the back to the front, as the attached pictures will attest. I also chose, during this work, to incorporate a few low key “improvements” to the Crown design, particularly the cooling system. 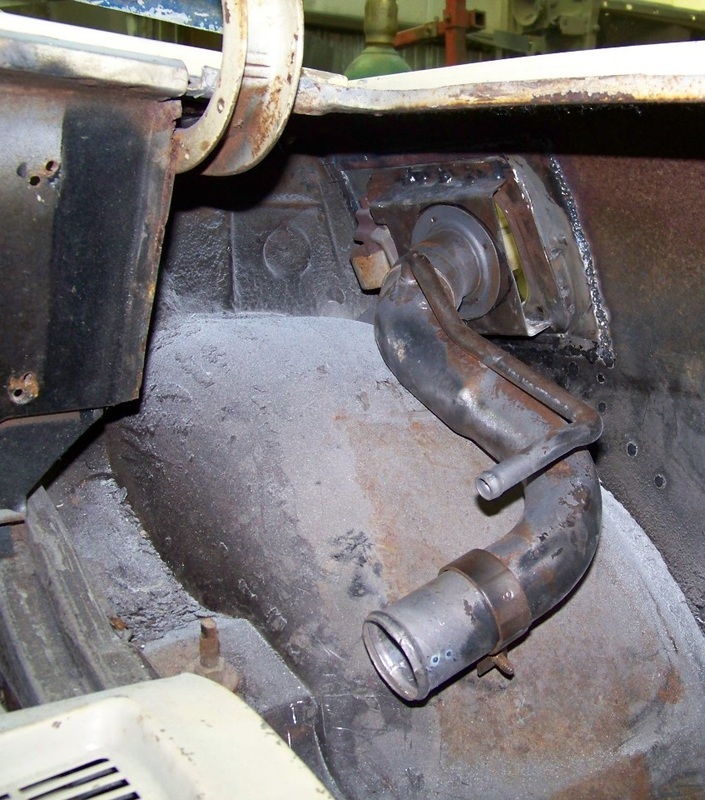 To accommodate airflow exiting from the front radiator and AC condenser, I have removed the stock fuel tank and opened up the trunk so as to allow airflow to go under the car, as is done in most front engine automobiles. This means no inner front fender ventilation slots. 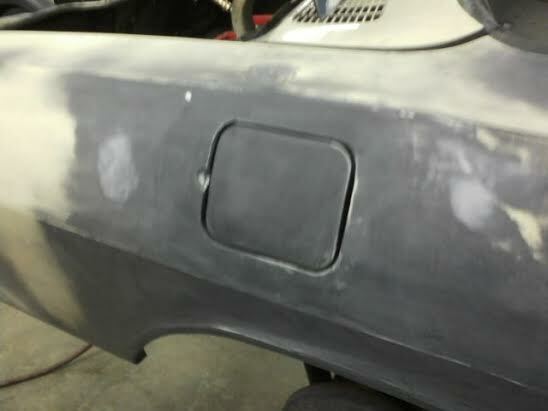 Aerodynamically speaking, these openings hinder the airflow exiting from the front trunk area as speed increases, due to wheel air pumping, making the cars run hot. 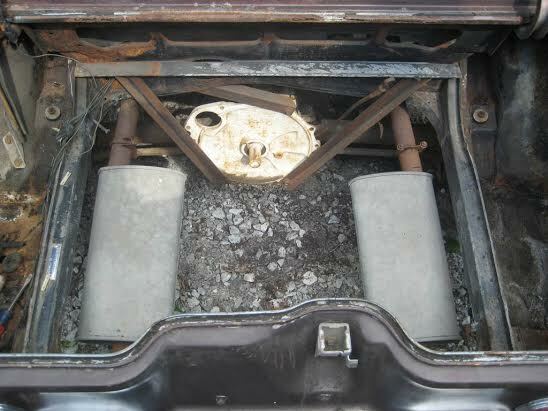 The replacement fuel tank will be installed down low behind the transaxle, on a new framework that will also support the rear of the transaxle /suspension. This framework is being constructed to allow the drive train to move back approximately 3 inches to provide more driver seating room. 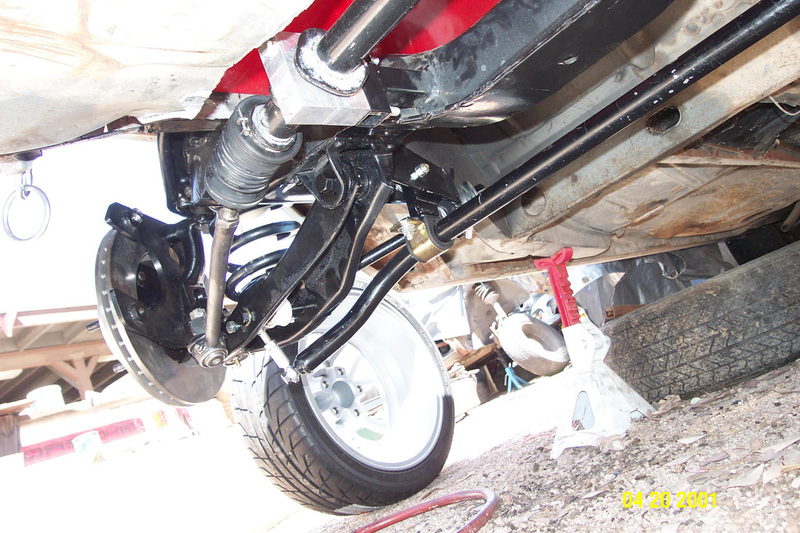 Upper and lower lateral inks will be used to position the stock position rear trailing arms with CV joints axles angled forward from the Double close ratio transaxle to the rear hubs. 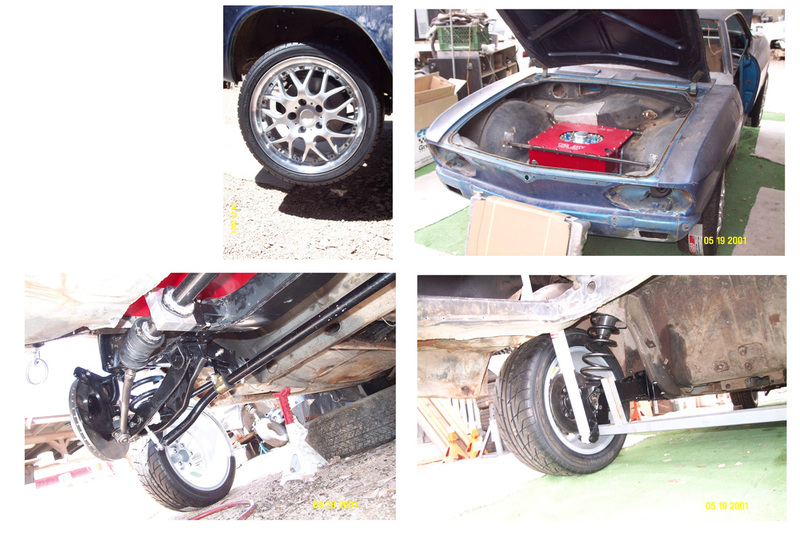 Some other changes include front disc brakes and Rack and Pinion steering, using the kit I developed years ago. 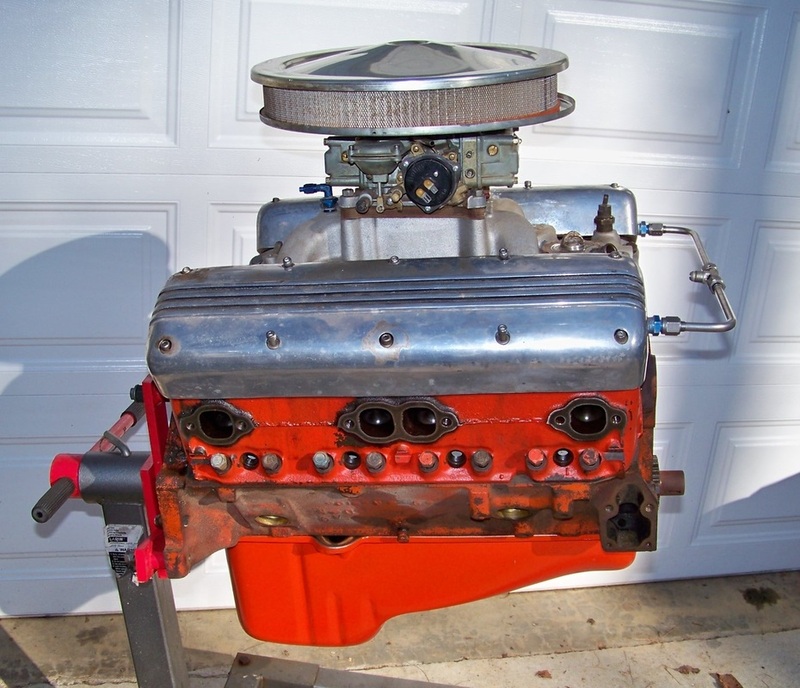 The engine is a old school 327 Z28 for now, with a 283 based 302 in the future with 4 weber downdraft carbs. 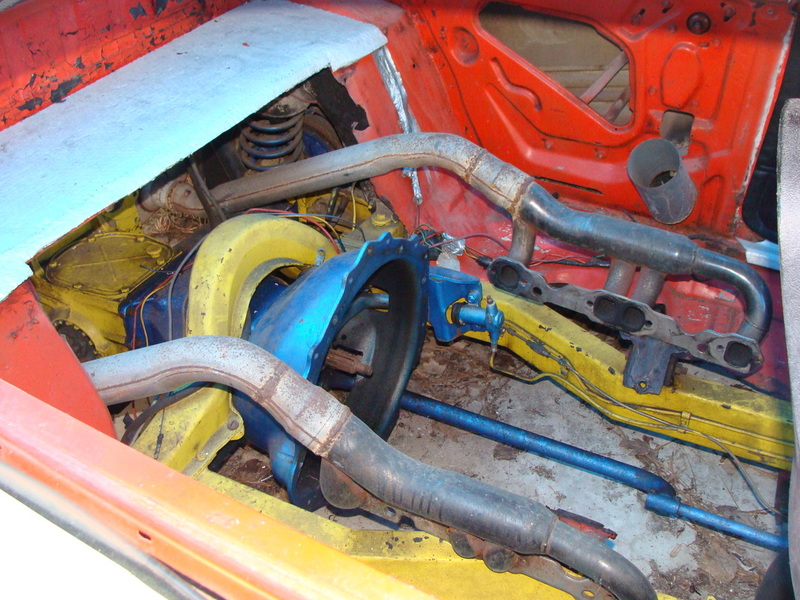 The engine framework being constructed is being designed to accommodate a 5 speed Porsche transaxle sometime in the future. More pics as progress occurs. 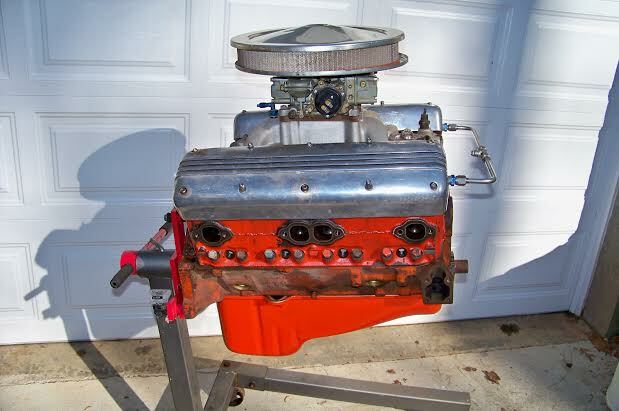 283 engine block at machine shop for bore to 302 CI with popup Arias pistons. 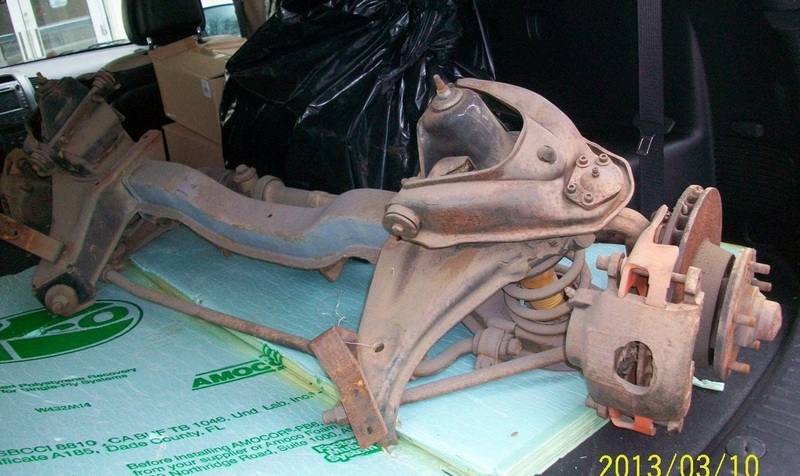 Disc brake front end work with R&P steering near complete along with moving whole assembly back 1.125" to allow for tire clearance at front end of wheel opening. 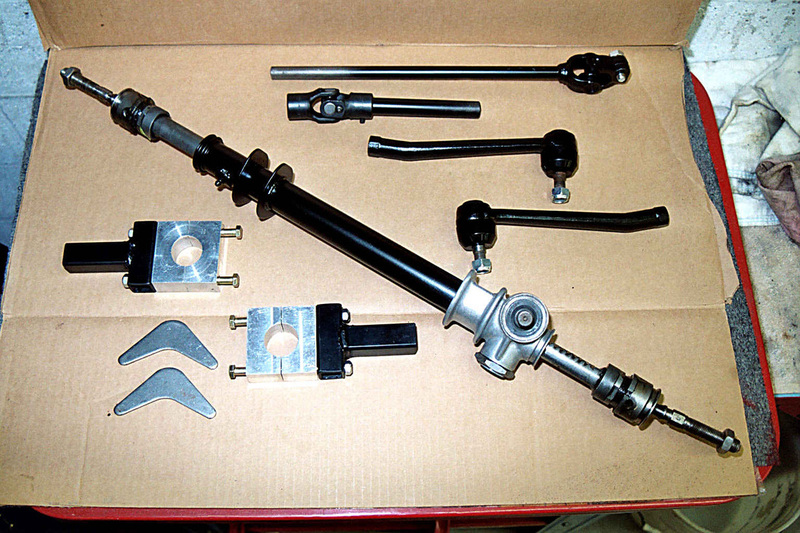 Several trial assemblies required to do this work. 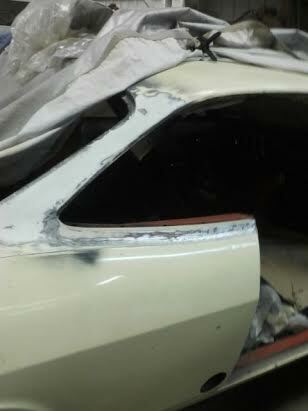 Body work near done, will hit paint booth for Hot Rod Black paint in early December. 16 x 8.5 / 9.5 Corvette wheels adapted. 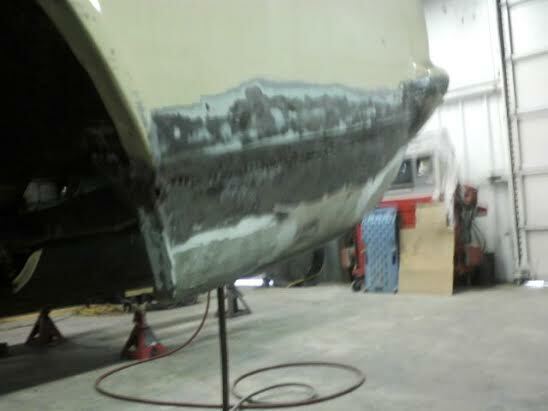 Dual MC epoxy painted and installed. Hydraulic clutch master cylinder is next. Still working on body restoration, hope to be done by the end of this semester at SCC. Engine is ready to be assembled and the transaxle is usable as is. 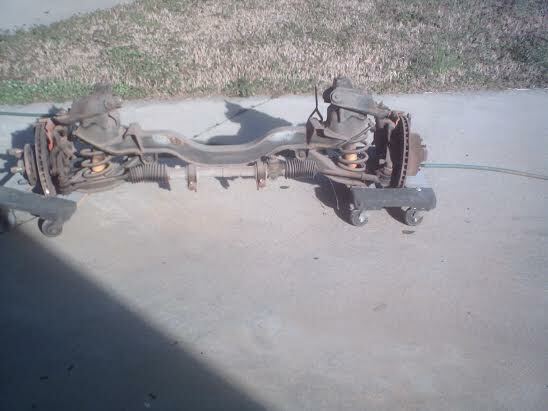 Will be assembling a alternate close ratio transmission and 4 spider positraction 3.27 differential this spring. Body work done, now reworking suspension.